From 2018 and henceforth, it is possible to acquire the titles 'Danish Junior Champion' (DKJUCH) and 'Danish Veteran Champion' (DKVECH). 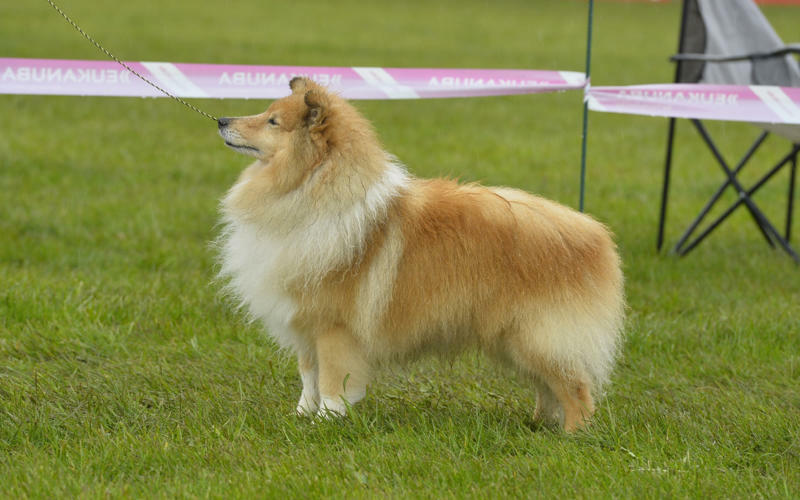 It is possible to achieve the CACs for these titles at Danish CAC-shows, including DKK's international and Nordic shows, the national shows and breed club shows. Junior CACs will be awarded in the junior classes and veteran CACs will be awarded in the veteran classes. The criteria for acheiving the junior- or veteran CAC is at minimum Excellent with CQ. The junior- and veteran CACs can move to the next dog in the class with Excellent and CQ in the same way the "real" CAC can move down the placement line. There is also the awarding of res. CACs i junior- and veteran classes in the same manner of the "real" res. CAC. The requirements for the titles are 3 x junior- or veteran CACs under 3 different judges. The junior- and veteran championship does not give access to the champion class, there is no 1 CAC-rule and no working test demands. Log on to hundeweb and go to "MY PAGE"
Click on "Apply for Danish Championship"